RV World MI in beautiful and vibrant Grand Rapids, MI offers only the top brand RVs from the top manufacturers in the world! Our goal is to help everyone own the 5th wheel, travel trailer, or whatever RV they've always dreamed of! 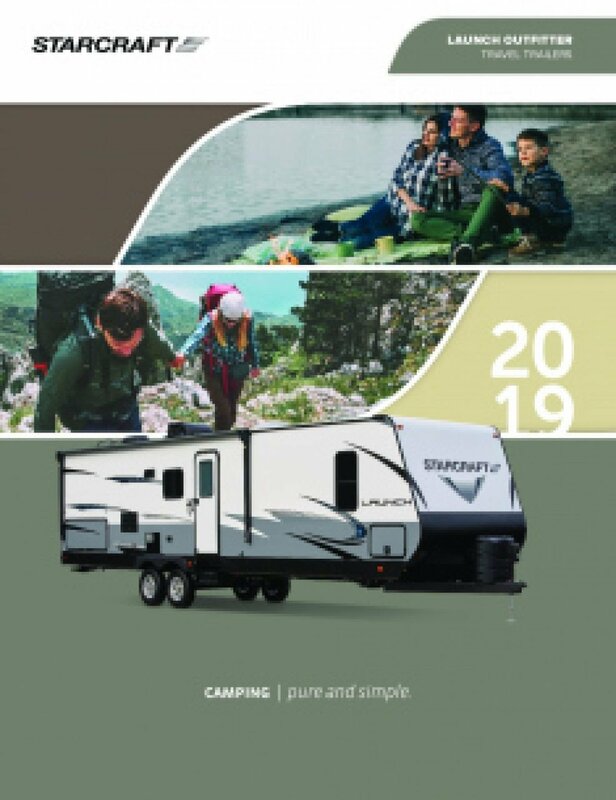 We think that you'll love the 2019 Starcraft Launch Outfitter 24RLS! This Travel Trailer is ready for the road! Stop in and see us today and let us help you find the perfect RV for your family! We're conveniently located at 7834 S Division Grand Rapids Michigan 49548 and our friendly, knowledgeable staff will make it easy to drive away with your dream RV! Don't worry if you don't live in the Grand Rapids area! We have reliable, fast 24/7 worldwide delivery. So go online and then give us a call at 616-591-3632 and let us help you make your dream a reality! You can lounge under the cool shade anywhere you go, thanks to the 19' 0" awning that's easy to pull out! This RV can be taken all over the country, with an easy towing hitch weight of 595 lbs, ship weight of 5230 lbs, and GVWR of 6950 lbs. 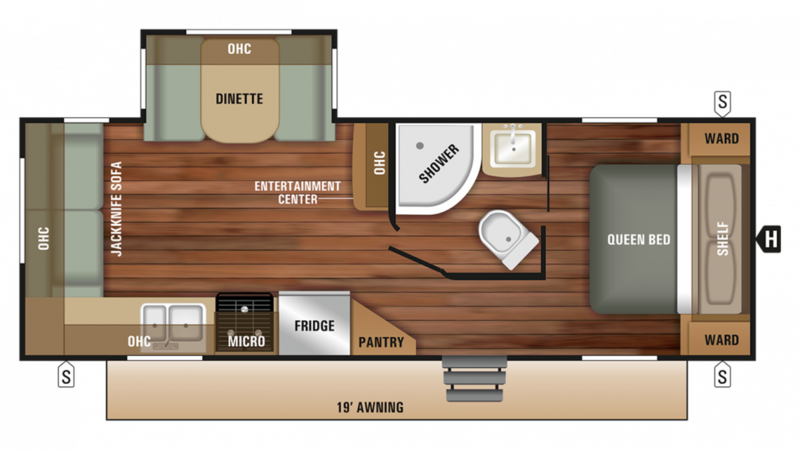 Bring the comfort of home to the campground with this cozy RV! It sleeps up to 6 people, plus has a private bedroom! Inside the bedroom is where you'll find the snug and spacious Queen bed, the perfect sight after a long, tiresome day on the road! You don't have to survive solely on campfire food and fast food joints! With the kitchen's 6.00 cu. ft. refrigerator and 3 burner range cooktop, there's plenty of different options for breakfast, lunch, and dinner! With the 48 gallon fresh water tank, you won't have to worry about running out of clean water!